3D documentation systems for crime scenes are no longer just an additional piece of equipment, but a fundamental part of crime scene capture. 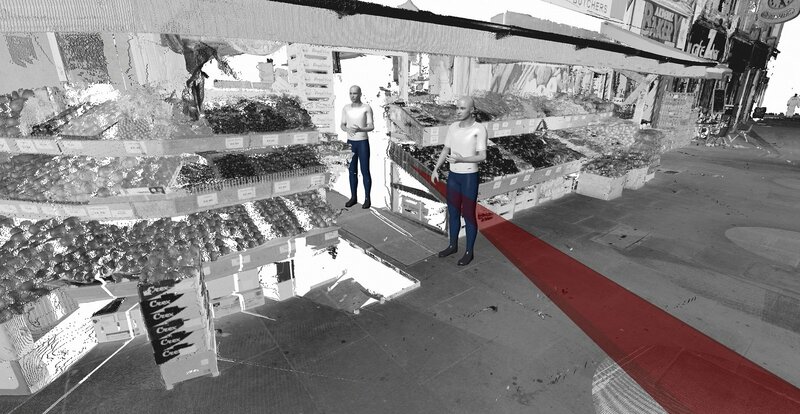 Advanced Laser Imaging have over 10 year experience in capturing scenes of crime, delivering products consistently into the UK court system, from 2D plans and simple 3D models to full scene walkthroughs and live real-time placement of witnesses into accurate 3D environments whilst they are giving evidence. What if your scene has changed from the time of the incident? Whether the scene is 1 week, 1 month, 1 year or 1 decade old, it may still be possible to create an accurate reconstruction. The location of key exhibits removed during searches through to changes in road markings or street furniture, can be incorporated using a range of source materials. Using statements, sketches or photography we can reconstruct the scene back to how it was at the time of the incident within an accurate 3D environment, that will allow measurement and additional analysis, and be available to an investigation long after the original scene has disappeared. What if you have CCTV and would like to know more about the scene? What are the blind spots? Is it possible for a person to avoid the camera? We can understand the location of people and objects and using change detection techniques we can determine information not visible from the raw CCTV. We’ve determined people’s height, shown the exact movement of people within the scene, even at some distance from the camera, and have even worked on cases where the only evidence visible in the footage is the shadow. What else can CCTV tell us? If the CCTV is from a moving vehicle current methodology is to shut the road and try to align a real vehicle to match the CCTV. This process is inaccurate, time consuming and costly to both police and the public. The results are generally photographic and can’t be used for any further analysis. 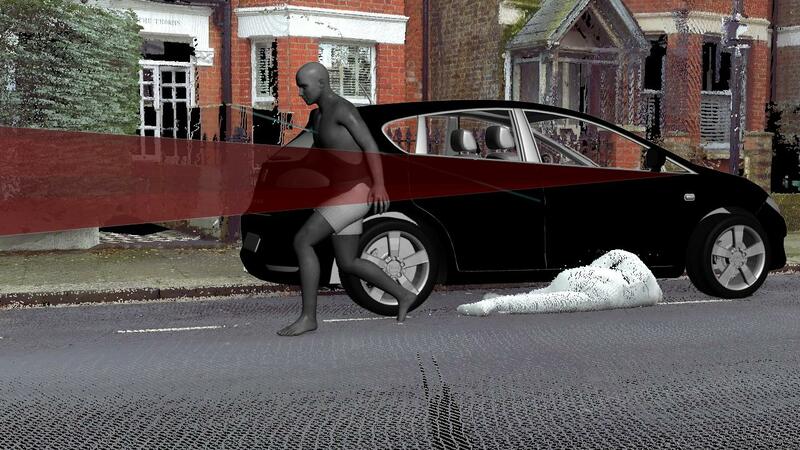 Taking the process into a 3D virtual world has huge benefits, not only is the vehicle positioned using scientific processes to known tolerances, the reconstruction can be used to assess other vehicle velocities, movements of people visible in the footage, or determine visibility of the driver into the scene throughout the manoeuvre. These additional analyses can contribute significantly to the case. Using all of the available evidence it may be possible to reverse analyse a bullet trajectory back to it’s point of origin. At Advanced Laser Imaging we collaborate with the best experts to support accurate 3D analysis of scenes. 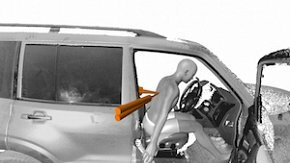 This can be used to show whether the shot was intended, or an accidental discharge. We have combined trajectory information from a scene with Computed Tomography data of internal wounds of victims to thoroughly reconstruct an incident. A frequent requirement during investigations is to understand the potential line of sight of those involved in an incident. 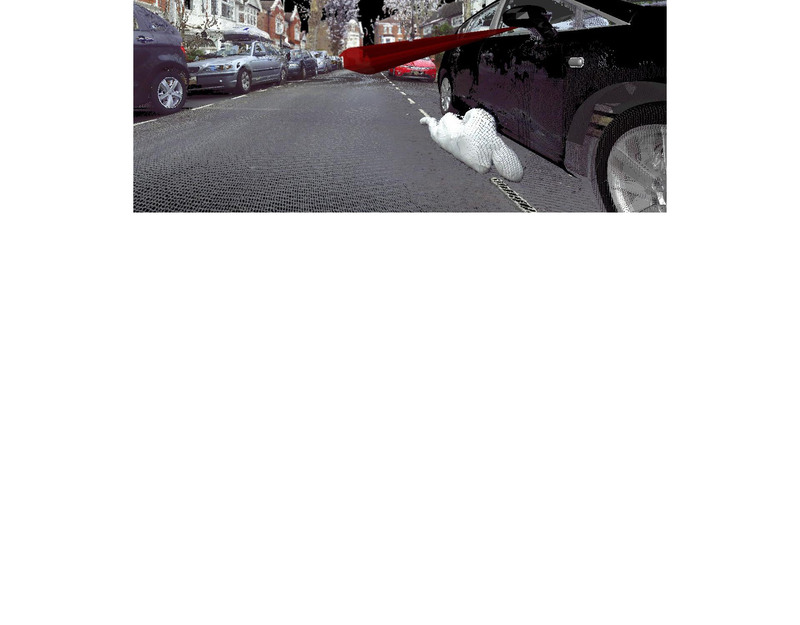 These can be small environments, such as the interiors of cars, through to large scenes in stadia or town centres. From a static position or even moving through the scene. Using our verifiable and accurately recorded 3D virtual reconstructions allows the ultimate in flexibility to make these detailed assessments and gives the opportunity to test the physical limits of vision, using a variety of techniques. On many cases there are any number of forensic experts that have to offer their opinion of circumstances surrounding a crime. At Advanced Laser Imaging we can provide an accurate 3D virtual scene to test the feasibility of an experts opinion and help refine the most likely set of circumstances to have actually occurred. We can compare or contrast differing accounts from witnesses or experts and help an investigation fully comprehend their evidence. 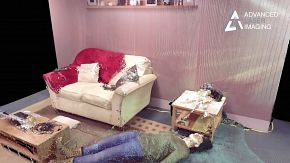 Whether you are testing the validity of witness evidence, determining the feasibility of a sequence of events, or overlaying another experts forensic evidence, virtual reconstruction is a paramount tool in achieving this. As early adopter of the technology, with Advanced Laser Imaging you are in safe hands, knowing that the products we create are designed for criminal, coroner or civil courts.